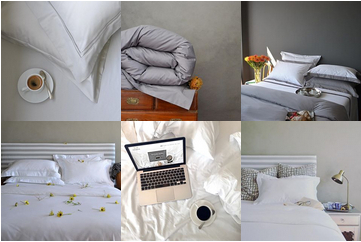 White bedding offers up the classic look on which to accessorize. Use colourful throws, chunky quilts or vibrant cushions, making it easy to update your bedroom decor. Invest in good quality white linen and never go out of fashion. Notify me when Standard Pair (45 x 70) - Signature Collection - Oxford Double Satin Stitch Pillowcases (2) - White on White is available.